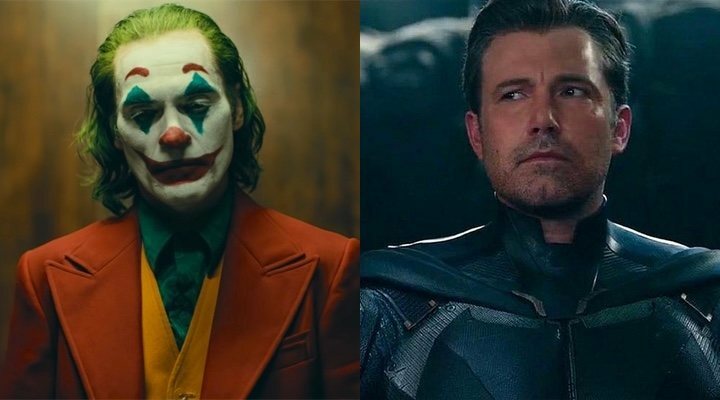 'Joker': Is Joaquin Phoenix Trolling Ben Affleck with his Character's Name? The Joker's undercover name in the new adaptation will be Arthur Fleck and fans have taken no time to launch their theories about the true meaning of the name; many people have come to the conclusion that it could be an indirect reference to Ben Affleck. Affleck played the role of of Batman in the most recent DC films, although announced his retirement at the start of the year. Although it might seem a mere coincidence, fans have realised that the name could easily be written as "A. Fleck", a clear reference to the Batman actor's surname. Some followers have suggested that this similarity could be a sarcastic reference to Affleck's abandonment of the franchise, and have taken to the internet to share their theories. Judging by the new trailer, Joaquin Phoenix's character seems to be a man whose life has given him several blows (quite literally). However, each version of the famous villain has changed over the years; in his first appearance in the comics, the Joker was a lan worker who decided to rob a million dollars and whose appearance was altered permanently due to an accident with chemical residues. On the other hand, this version of the character's story has not been constant and in other comics the Joker is an ex-lab worker who wants to enter the world of comedy, or even a criminal who is driven mad by chemical residues. The Joker's story has also changed dramatically in every on screen version we see. While in 'Batman', directed by Tim Burton, the Joker is a gangster who falls into a vat of chemicals during a fight against the superhero, in 'The Dark Knight', we never learn the true origins of Heath Ledger's version of the villain. We will have to wait until Autumn this year to know to discover the story behind Phoenix's character.